New research suggests that whale moms “whisper” to their baby calfs using soft squeaks and grunts. Elephants can be taught to paint. And a well-studied border collie, named Chaser, was able to distinguish between more than a thousand toys and could retrieve precise ones based on spoken commands alone. Nature and the animal kingdom are suffused with intelligence. People do not have a monopoly on ingenuity. But no creature comes to close to matching the kind of creativity humans have. We are a species that thrives on novelty, invention and exploring the unknown. We love putting ideas together in new ways, finding fresh means of expression and developing newfangled tools, technologies and products. But where does creativity come from? Most scientists believe our innate ingenuity is rooted in the unique complexity of the human brain, which is the most pliable computational structure in the known universe. Many neurologists contend that inventiveness is woven into the brain. But if so, are the brains of exceptionally creative people really wired differently? Similarly, is it possible to train ourselves to be more inventive? To raise a baby genius? Or supercharge ourselves through biohacks and nutrition to be more creative? 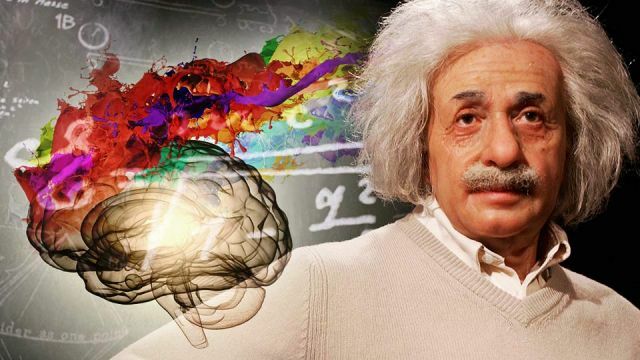 Here are five findings that may help you unleash your inner-Einstein. The mind used to be a black box, but now researchers can use brain imaging technologies to peer into the cortex as it solves problems, ponders ethical decisions and makes creative leaps. The default mode: This is the part of the brain (rooted in regions like the hippocampus) that handles stored memories. The salience network: This consists of several regions in the brain (largely rooted in the insular cortex) that help tell us which ideas and stimuli are emotionally relevant to us. The executive function: This part of the brain (found in the prefrontal cortex) is responsible for focusing our conscious attention as we sift through possibilities that look promising while discarding ones that do not. Some scientists believe that disciplines like yoga, meditation and tai chi can promote neural integration. Scientists contend that intelligence is 85 percent inherited and the remaining 15 percent is due to environmental factors. Nevertheless, it’s well-documented that the fetal environment can have a decisive impact on a child’s cognitive development. For instance, breastfed babies have IQs about four points higher on average than bottle-fed babies. In addition, studies show that food rich in omega-3 fatty acids and antioxidants (think wild-caught salmon and blueberries respectively) boost prenatal neural development. Next to talking, singing and storytelling to your baby (early and often), good nutrition is probably the most important thing you can do to promote their cognitive development. Our brains are constantly rewiring themselves in response to environmental stimuli. As you read these words, small changes are taking place in the way some of your neurons are connected. Scientists believe creativity is inextricably tied to “cognitive flexibility,” which is the ability of our neural architecture change and adapt to new challenges and circumstances. The opposite quality is a form of mental rigidity, which does not embrace novelty. It’s easy to get in a mental rut. But taking up a hobby, learning a musical instrument, studying a new language or embarking on an athletic challenge can activate brain regions that have been mostly dormant for a long time. Rediscovering a sense of play, which happens when you take on new interests, can be exhilarating on so many levels. For instance, the physical activity of picking up a musical instrument stimulates the growth of new neurons and both your unconscious and your imagination seem to awaken to a sense of new possibilities. Creativity is all about making new connections. There’s no better way of sparking new neural linkages than physical and mental activities that take you out of your comfort zones. Necessity is the mother of invention. Most creative geniuses have been anything but stable. They’ve been wracked with anxiety, self-doubt and inner-friction. Part of their angst stems from their unwillingness to go with the flow and accept the status quo. They see the world differently than other because they imagine possibilities they can scarcely explain to others. The journalist Bill Moyers said that “creativity is piercing the mundane to find the marvelous.” It’s what the musical genius Les Paul did when he removed the wires from his mom’s telephone and connected them to a piece of railroad track that he had fastened under the strings of a conventional (hollow-bodied) guitar. In fact, Les Paul was just a teenager when he single-handedly invented the modern electric guitar, an instrument that ultimately changed the face of music. But his idea was rejected numerous times as impractical — even ridiculous — by the executives and instrument makers he first showed his contraption to. Creativity certainly involves neuroplasticity, but it also involves an ability to overcome rejection and channel inner-friction. Inventiveness consists of the constructive solutions that people discover from facing challenges that most other people avoid. Hey Buddy!, I found this information for you: "5 Ways To Unleash Your Inner-Einstein". Here is the website link: https://www.thealternativedaily.com/5-ways-to-unleash-your-inner-einstein/. Thank you.